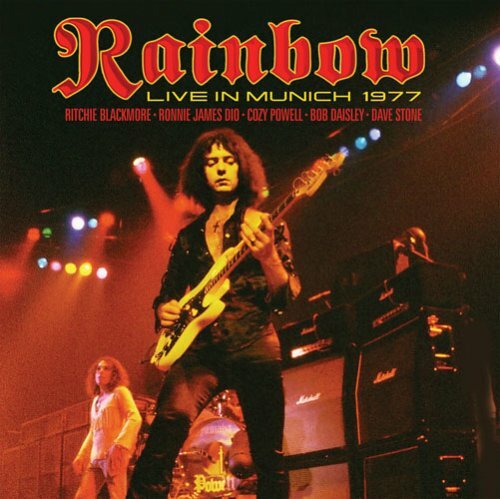 Rainbow was formed by Ritchie Blackmore in 1975 after he left Deep Purple at the height of their fame. They were instantly successful and released a string of hit albums, with an ever changing line-up between 1975 and 1983, when Blackmore broke up the group to join the re-formed Deep Purple. This concert from their European tour in 1977 features the line-up responsible for the "Long Live Rock ’n’ Roll" album released later that year, including vocalist Ronnie James Dio and drummer Cozy Powell. Blackmore had to be smuggled out of Austria after trouble with the police at a gig two nights earlier and was very late arriving in Munich, all of which seemed to inspire both the band and the audience to create a truly remarkable gig. If you have any questions about this product by Eagle Rock Entertainment, contact us by completing and submitting the form below. If you are looking for a specif part number, please include it with your message.